So to set the scene for you before you get to know Beira today, I thought we better take a trip down memory lane. 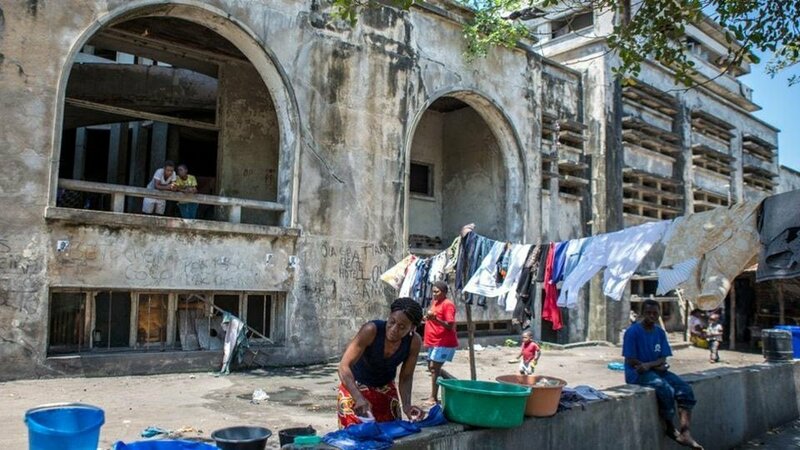 Let’s step back to the 19th Century when the Portuguese Mozambique Company arrived on the shores of Beira and development began. From 1947 the Portuguese Colonial Government continued development until Mozambique gained its independence from Portugal in 1975. As you can see from the photos in the 1950’s Beira was a busy colonial town. Many a Rhodesian and South African tourist would head to Beira to enjoy some sea, sand and peri peri chicken. Hence where it got its nick name ‘Beira by the Sea’. 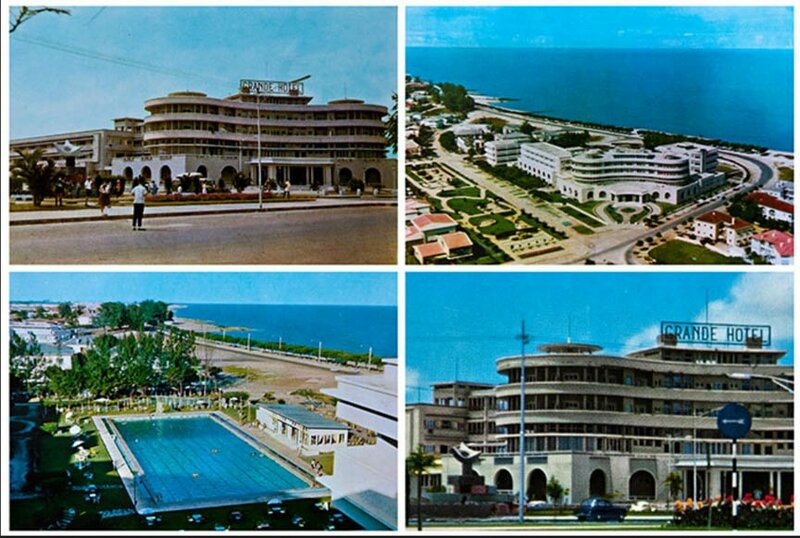 There were hotels, camp sites, chalets, beachfront attractions, outdoor swimming pools and who could forget the magnificent Grand Hotel. The Grand Hotel opened its doors in 1952 with the vision of providing the wealthy Rhodesian and South African tourists a touch of glamour in darkest Africa. 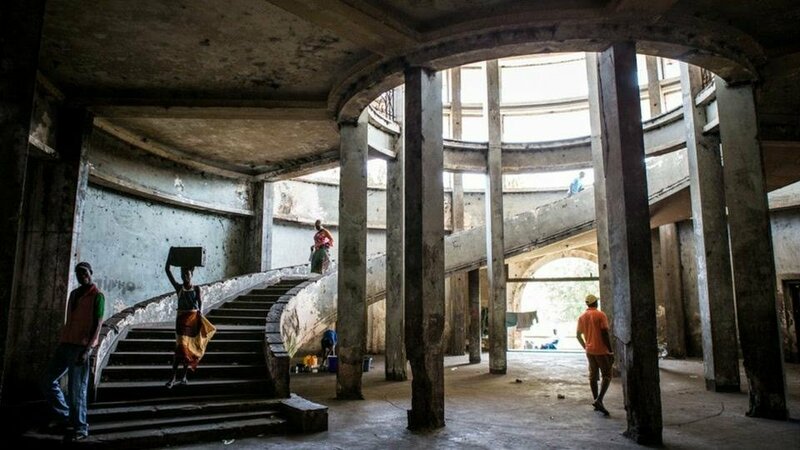 It was known as the biggest and most luxurious hotel in Africa boasting 116 rooms, Olympic sized outdoor pool, a huge ball room, post office, ….the list could go on! Unfortunately due to the lack of guests who could actually afford to stay in this level of luxury, it was forced to close in 1963. In the late 1970’s the hotel doubled as an army base and political prisoner camp during the country’s brutal civil war. Today the Grand Hotel still stands, but is in ruins and home to over 3500 squatters who have taken over this hotel and made it their home. The community that has grown within the weathered walls of this hotel, who span over three generations, have their own laws and internal elections to elect community leaders. Unfortunately the world inside the Grand Hotel is a sad one full of poverty and destitute. There are severe hygiene issues due to the years of rubbish that has accumulated and the lack of sewage facilities, with the main bar now being used as an urinal. The Grand Hotel is not the only site that attracted tourists then and now. Beira also boasts the famous Lighthouse with accompanying Ship Wreck. These though deserve a little more attention therefore, I will explore these further in their very own post! In 1977, after Independence, the country was plunged into a vicious and brutal civil war that would last 25 years until it finally reached an end in 1992. In this time it was as if the clocks froze, development and maintenance of this country halted. 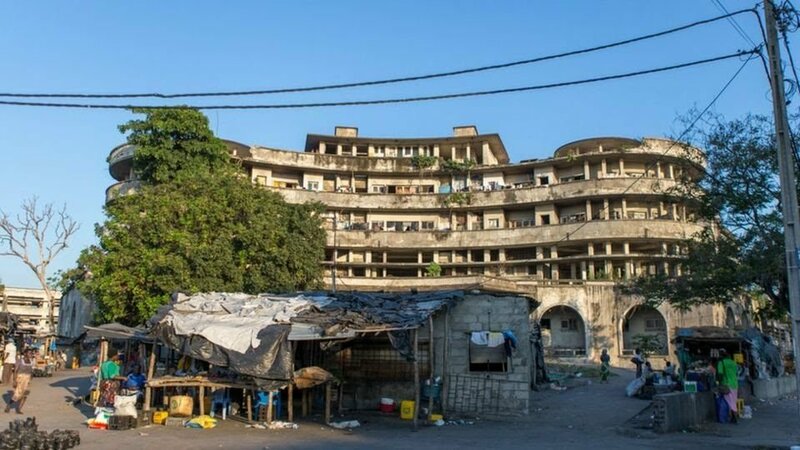 Mozambique as a whole is now playing catch up, with poor literacy rates, diminishing infrastructure and over half of the countries population still living under the poverty line. 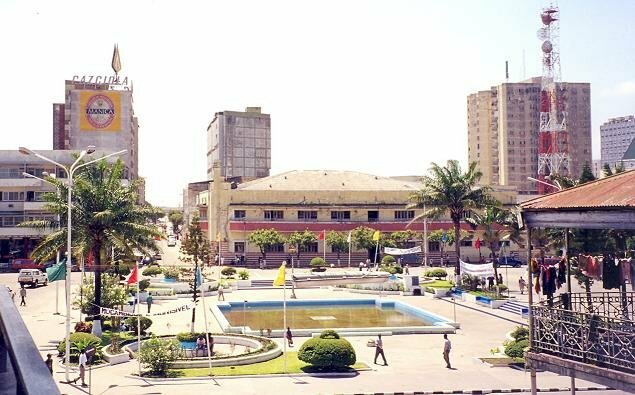 Beira as I am sure you will discover over the coming blogs is no exception to this. Next Post When you know you have lived in Africa for too long!